Mr. Cashen represents employers in all aspects of employment law and related litigation. He served as chairperson of the Firm’s Workplace Law Practice Group for ten years. Mr. Cashen assists clients facing charges of discrimination, sexual harassment, wrongful discharge, Whistleblowers’ Act violations and similar claims in federal and state courts, administrative proceedings and arbitration hearings. He has conducted numerous trials and arbitrations in Michigan, Ohio, Missouri and Wisconsin. Realizing that a trial or arbitration on the merits is not always in an employer’s best interest, Mr. Cashen has had significant success obtaining summary judgment for employers and with alternative dispute resolution. Mr. Cashen advises clients on labor management relations, from union election issues and collective bargaining to representation before the National Labor Relations Board.Mr. Cashen has provided legal services in a variety of industries. 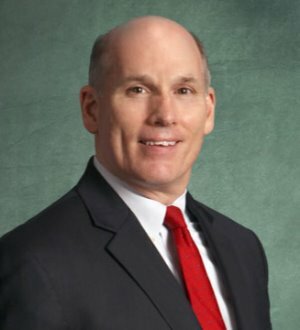 For example, he has extensive experience in the health care field, counseling health service providers on employment law issues, defending hospitals and physicians from discrimination and wrongful discharge lawsuits, drafting employment related documents and addressing and litigating non-compete issues. Similarly, he has served automotive industry clients in all aspects of employment law, traditional labor and related litigation and arbitration. Mr. Cashen has spoken to professional groups on a variety of employment topics including the Sarbanes-Oxley Act, reductions in force, the Worker Adjustment and Retraining Notification Act, sexual harassment, the Family and Medical Leave Act, workplace surveillance and privacy issues, non-compete agreements, at will employment, contract employees and volunteer liability.